Are you ready for E-commerce? If yes? visit us online and get benefit in an increase in online sales for your business. Get services in Bloomington Indiana. Ready to dive into E-Commerce? We have strategies to help you with the transition. It can be overwhelming, we guide you through every stop of the process to help you design your product catalog and setup your systems and shipping and tax options. We can help you setup your shipping options, inventory control, even analytics and social media connections from your site and SEO tools to your blogging and content control. 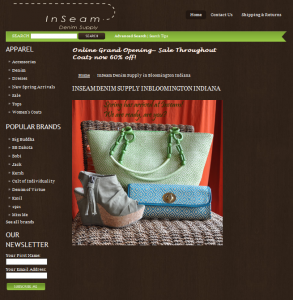 We have worked with organizations all over America and in Bloomington Indiana who have benefited from the success of online sales in their business.